Your OhioMeansJobs Job Center is dedicated to helping you get ready for employment. If you would like personalized aide in your employment search, please visit the OhioMeansJobs Job Center at 55 East Main Street in Carrollton. 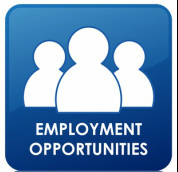 For extended aide in employment preparation, please visit the pages below. Please feel free to visit the OhioMeansJobs Job Center for more career help. If you have questions regarding our programs or benefits, please Contact Us.